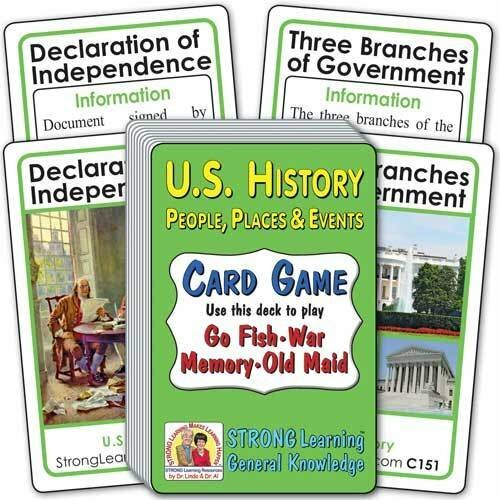 Learn about U.S. History: People, Places & Events while playing popular card games. For this deck matches are two cards with the same heading written at the top. One card of each matching pair shows a picture. The other matching card has some Information about the topic.